The Nonprofit Leadership Alliance is a national alliance of colleges, universities, and nonprofit organizations dedicated to educating, preparing, and certifying professionals to strengthen and lead the nonprofit sector. Some of the national nonprofit partners include: American Red Cross, United Way of America, and Make-A-Wish Foundation. Each year we implement the UNI Volunteer Fair and the Cedar Valley Nonprofit Awards Luncheon. Weekly activities include collaborating with nonprofit organizations, raising funds for student projects, taking field trips to area nonprofits, networking with professionals, and having fun! The goal is to reduce the learning curve of nonprofit professionals, allowing them to immediately impact their organization and communities. 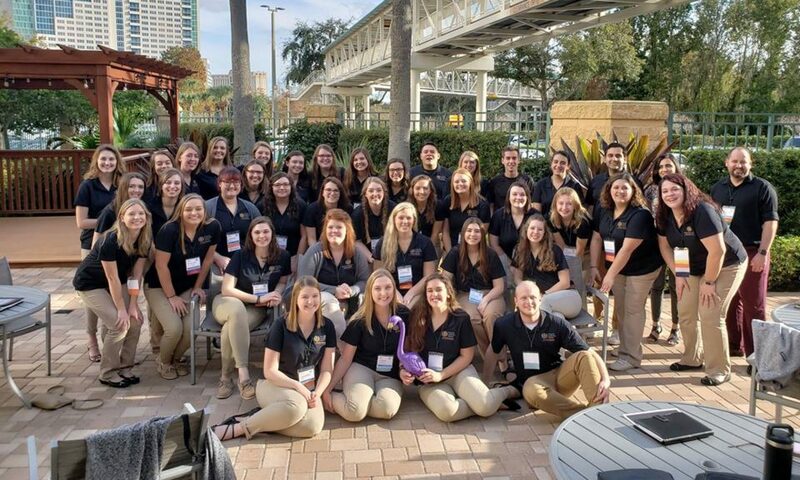 The Certified Nonprofit Professional (CNP) Credential is the only national nonprofit credential preparing students for leadership in the nonprofit sector. Other courses may be substituted upon approval. The certified nonprofit professional credential gives students priority access to nonprofit job opportunities with competitive salaries! Research indicateds that CNP’s are seven times more likely to rise to director+ level than their non-CNP peers. 90% of CNP’s from established alliance campuses find a nonprofit job in 6 months or less. Top skills listed among CNPs include fundraising, public speaking, community outreach, and event planning. Hiring managers report that the learning curve for CNPs is reduced by as much as two years due to the practical experience that comes from intensive internships, service-learning activities, and research-based training. More than one in four CNPs have a position of director or above at their current employer. Top job titles among CNP’s include executive director, founder, CEO, and president. This required internship will provide first-hand experience for those hoping to pursue a career in the nonprofit sector. Some of the national nonprofits UNI students have interned within the past include: Make-A-Wish, Boys and Girls Clubs, American Red Cross, Big Brothers Big Sisters, and more. Students will participate in an Annual Fundraising Campaign; raising over $30,000. Students will participate in service projects. Students will partake in numerous professional development opportunities. Students will gain experience in event planning and coordinating. AMI is an annual national conference held by the Nonprofit Leadership Alliance, taking place in a different city each year. Students listen to key note speakers, attend workshop sessions, present research, and work on case study projects with students from across the country. Students are required to attend at least one conference to earn their certification. Students must obtain their Baccalaureate Degree before earning their certification.